This was a CD Release Party. Click here for a review of the Disc and more footage from the show. Click here for Brad's site. 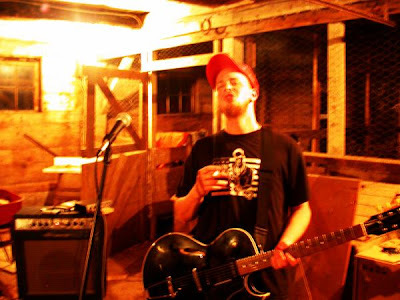 Local Singer/Songwriter Brad Soucie released his sensational, self-titled, debut CD EP on July 25, 2010 at the Coach and Lantern in Ancaster. The five songs on the disc showcase his astonishing acoustic guitar work and outstanding gruff voice. The songwriting is superb as well. Many of the tunes have incredible hooks (Travelin' Woman, People, Johnny 18) and softer elements too (Go On, Wakin' Up). The CD is available at his wonderful live shows. Below are live performances from his CD Release party. The first is a song off the new disc. Click here to if you can't see the videos. To finish up our series of Performers of the Week, we have decided to end it off with a legend, Harrison Kennedy. This local bluesman started his musical career with the million-selling pop/soul group, the Chairmen of the Board in the late 60s. Harrison was with the band when they recorded their huge hit, Give Me Just a Little More Time. When he went solo, Harrison changed his style from soul to blues. There's still a major element of soul in his music but now it's mixed in with Harrison's amazing country blues sound. He released his first solo CD, Sweet Taste in 2003 and now has 3 other discs as well, including the recent smash, One Dog Barking. 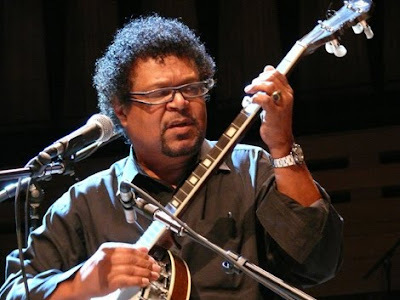 His wonderful work has been nominated for Junos, Maple Blues Awards, and Hamilton Music Awards (he has won an HMA). Originally, the Performer of the Week series was started as a way to showcase artists that hadn't had much exposure on the blog. Since then, the amount of live performance videos have increased and the number of artists getting noticed has gotten bigger as well. 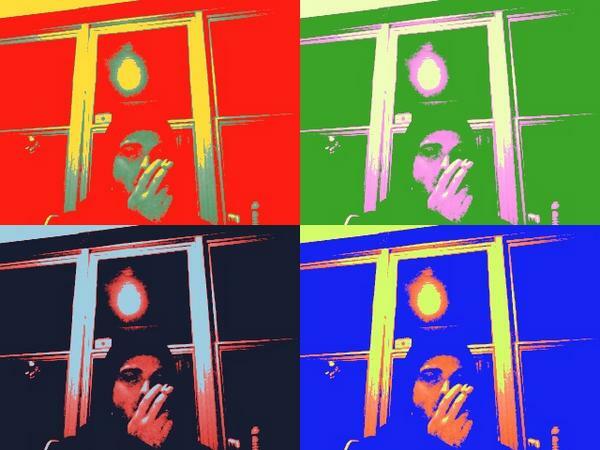 I have decided to concentrate more on the live performances from now on. Singer/Guitarist Albert Barubek took a solo turn as well. Later on, he was joined by Greg Brisco. This was part of a larger charity event celebrating the 25th anniversary of Live Aid. Click here for some footage of Ginger St. James from this event as well. Later on, Ginger was joined by Greg Brisco on keys. This was part of a larger charity event celebrating the 25th anniversary of Live Aid. Click here for footage from the same event. 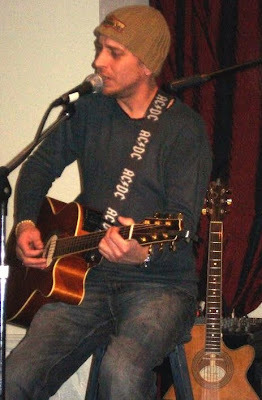 Hamilton singer/songwriter Dave Pomfret has been performing some great music for years. In the mid-eighties he fronted the Munday Nuns with Mike Trebilcock (Killjoys). This incredible band won the Q107 Homegrown Contest in 1988. A while back, Dave released his first solo CD, No Rush. He was joined by Trebilcock, Mary Simon, Aaron Goldstein and many others. His personal music is an amalgam of folk, roots, rock and pop. Dave has a flair for catchy hooks and softer moments as well. Currently, he runs a weekly Thursday night jam session at Rebel's Rock and plays in the area quite a bit. He's definitely worth checking out if you get a chance. 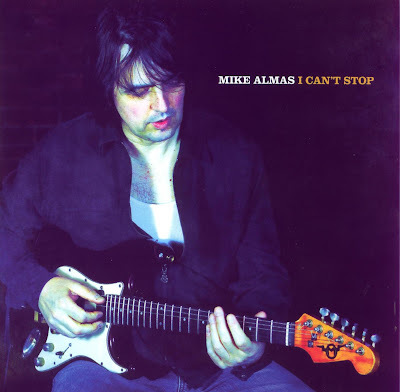 Local Bluesman Mike Almas' latest CD, I Can't Stop is now available for fans of quality no-frills blues rock. Mike's skillful guitar playing is showcased throughout the recording as is the incredible work of legendary drummer Jack Pedler (Teenage Head) and talented basist Neil Nickafor. CDs can be purchased at Mike's shows and at Picks and Sticks on Locke. Below are two recent live performances of songs from the CD featuring 905 Band members Sonnie Bernardi (drums) and Dave Johns (bass) at Stonewalls on July 10, 2010. Click here for more videos from this show. Click here if you can't see the videos. Choir Deets are Mike Trebilcock (guitar, vocals) and Jay Burr (tuba). They were celebrating the birthday of Mississippi John Hurt. Hamilton's Snow-Heel Slim is definitely unique. With his incredible band, the Boogie Infection, he plays rockabilly and blues but with more of a raw/almost punk edge. If you're looking for something different, you should check him out. Slim's also the guitar player for Ginger St. James' band, the Grinders. There isn't much about Slim online but he let's his music do the talking. Left to right: Mark Foley, Dave Rave, Jack Pedler, Lauren Agnelli, Michael Hickey (Trickbag), Rick Andrew, Ed Roth. This was part of a CD Release Party. Click here for the review and more performances from this show. Lauren Agnelli opened the show. Click here for her performance. Lauren was opening for Dave Rave's CD Release Party. Click here to view footage from that show.